Memoization is a way to optimize code by storing the return values of functions called with a specific set of arguments. Memoization is a specific type of caching. Memoization is only valid for functions that are referentially transparent: functions that always return the same result for the same set of arguments, and that do not affect the state of the program. Therefore, you should not memoize a function that returns random numbers, because it will end up returning the same set of random numbers over and over again. And you should also not memoize a function that depends on the state of the program, for example because it relies on the command-line arguments that were passed to a script. 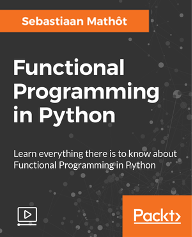 But you could memoize a function that performs some time consuming operation that is always done in exactly the same way, such as a function that performs time-consuming operations on a large dataset. Memoization is done with the memoize decorator, which is part of datamatrix.functional. Let's take a time-consuming function that determines the highest prime number below a certain value, and measure the performance improvement that memoization gives us when we call the function twice with same argument. """Returns the highest prime that is lower than X.""" 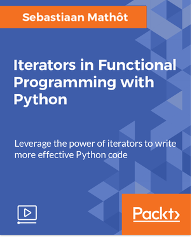 When you call a function, Python automatically evaluates the function arguments. This happens even if a function has been memoized. In some cases, this is undesirable because evaluating the arguments may be time-consuming in itself, for example because one of the arguments is a call to another time-consuming function. Ideally, evaluation of the arguments occurs only when the memoized function actually needs to be executed. To approximate this behavior in Python, the memoize decorator accepts the lazy keyword. When lazy=True is specified, all callable objects that are passed to the memoized function are evaluated automatically, but only when the memoized function is actually executed. You can also implement this behavior with the >> operator, in which the resulting of one function call is fed into the next function call, etc. The result is a chain object that needs to be explicitly called. The >> only works with lazy memoization. If you pass persistent=True to the memoize decorator, the cache will be written to disk, by default to a subfolder .memoize of the current working directory. The filename will correspond to the memoization key, which by default is derived from the function name and the arguments. If you want to change the cache folder, you can either pass a folder keyword to the memoize decorator, or change the memoize.folder class property before applying the memoize decorator to any functions. You can also specify a custom memoization key through the key keyword. If you specify a custom key, memoize will no longer distinguish between different arguments (and thus no longer be real memoization). To re-execute a memoized function, you can clear the memoization cache by calling the .clear() method on the memoized function, as shown below. This will clear the cache only for the next function call. Are callable, which includes regular functions, lambda expressions, partial objects, and memoize objects. Return values that can be pickled.